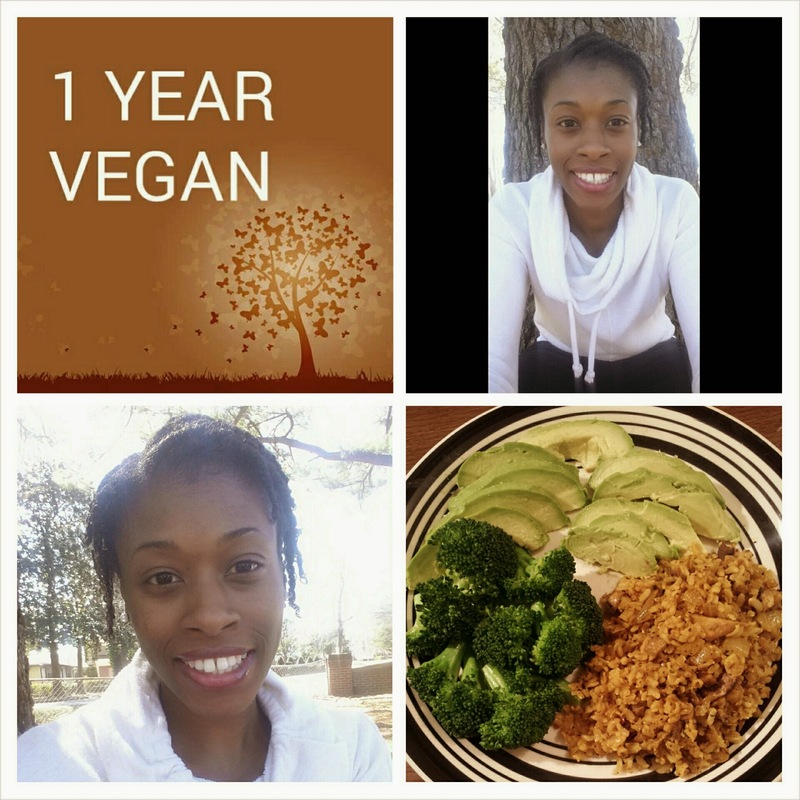 A year ago (March 8th, 2014), I started my vegan journey after watching a film called "Forks Over Knives." The film impacted me greatly. Mainly because I had already lost three relatives to cancer. The film talked about a plant based diet and how it helped improve serious health conditions. I knew from there that I had to make a change. However, I was already leading a healthy lifestyle so it wasn't terribly difficult for me to make the transition. It was really exciting because this was something major. I didn't even know a vegan or a vegetarian at the time. I just jumped out there. I choose to become a vegan for better health. "Veganism is the practice of abstaining from the use of animal products, particularly in diet, as well as following an associated philosophy that rejects the commodity status of sentient animals." That's the official definition of veganism. However, during the past year I did take vitamin d supplements that contained gelatin and I do use honey. Recently, I stopped taking the supplements. So technically, I'm a vegan that uses/consumes honey. Other than that, I do not knowingly consume animal products in my diet. I have learned so much about nutrition and health during this time. When you eat right and eat healthy, there's really no need to count calories. You can eat freely. If you're interested in what I eat as a vegan, check out one of my previous post So What Do You Eat? The greatest feeling is being able to help others lead healthier lives because of my decision to better my life. I have been through a lot lately and I truly believe that my lifestyle has aided in keeping me strong and giving me the energy to get whatever I need to get accomplished. I don't try to persuade others to become vegan. I just want others to focus on leading healthier lives. Live proactively. There are so many health conditions that are caused by what we eat and can be prevented if we are just willing to change our lifestyles. The choice is yours and I'm here to help you along the journey. If you have any questions for me, feel free to ask below. Love and blessings to you all!!! !